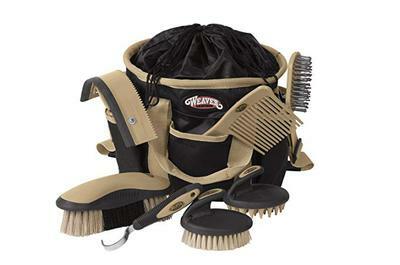 HorseCrazy girls love grooming horses and ponies and this grooming kit is a great gift for them - or treat yourself! This 7-piece kit includes a sweat scraper, body brush, face brush, curry comb, hoof pick, comb, and mane brush. I love that it comes in a durable nylon tote bag with a padded shoulder strap. It would be great for around the barn to keep everything together, or to take to a horse show. Reviewers said they were able to put more items into the bag, making it even more useful. I love that it comes in different colors so you can pick her favorite!